We all have dreams, but for many people those dreams remain a fragment of the imagination, seemingly out of reach or impossible to realise. Reading this article probably means you have a passion for wildlife. The dream of forging a career and life working with the animals you love may seem like an unattainable reality. But by acting with purpose, a future working with animals is certainly not out of reach for anyone willing to dedicate their life to pursuing it. Here are some of my tips to help you realise a career working with animals. Setting goals is one of the most important keys to achieving success. To begin, ask yourself “what is my ultimate goal?”. This is where you need to ‘dream big’. Your ultimate goal should be your greatest aspiration, ideal career, how you would most like to live your life. Be as ambitious as your imagination will allow. Write this goal down and store it somewhere safe. By acknowledging your ultimate goal you make it real, no longer just a vague vision in your mind. Refer back to your ultimate goal whenever you need inspiration or a reminder of what you are committed to working towards. My ultimate goal has always been to travel the world working with and learning about wildlife and advocating for the amazing animals we share this planet with. The next thing to do is to set yourself a series of smaller short to medium term goals designed to help you work towards achieving your ultimate goal. These smaller goals or ‘stepping stones’ provide you with direction. Each and every day it is important to be doing at least one thing, no matter how big or small, to take you another step closer to reaching your ultimate goal. When I was young one of my short term goals was to learn new facts about an animal I was unfamiliar with. By the time I was 10 years old, for example, I knew just about everything there was to know about cicadas (yes, some people thought I was a strange little kid). At the end of each week, month or year you can tick off your achievements and reassess where you are at in order to set a list of new short to medium term goals to keep you moving forward. There is nothing quiet as incredible as the joy of caring for an animal yourself, or seeing amazing wildlife species in their natural habitats. 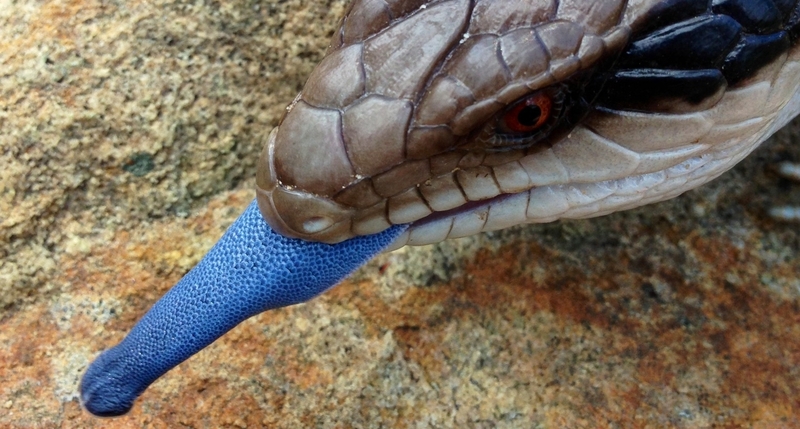 A passion for reptiles and animals often leads to the privilege of looking after your own pets. The responsibility of sharing your home with animals helps to develop your knowledge and hands-on skills, as well as giving you a greater appreciation and understanding of how truly incredible animals really are. Learning everything you can about living with animals will bring you immeasurable happiness and invaluable experience. Throughout my life I have been fortunate to surround myself with so many incredible creatures and it is they who have taught me so much. By starting in your own backyard, you can get to know the native species that call those habitats and ecosystems home. We are very fortunate in Australia to have a huge diversity of wildlife found nowhere else on the planet, so get out there and see as much of it as you can. Whilst what you learn in school may not always seem directly relevant to a career working with animals, it is during these years that the foundations for your knowledge and ability to learn, write, research and communicate your passion for animals to others are set. We can all agree that writing essays and undertaking public speaking assessments is not always fun. But these are skills which will greatly assist you in any career working with animals, as educating the general public about our wildlife is a key component of conservation. As your secondary education progresses seize the opportunity to select subjects at school that relate to animals and the environment such as biology, agriculture, environmental studies etc. as this will also broaden your knowledge and understanding. Not everyone is excited about the prospect of doing further study after surviving 13 years in school, however continuing your education is extremely important if you want to have a successful career working with animals. There are many university courses tailored to people with a passion and interest in animals and the environment including; zoology, animal science, environmental science, wildlife studies, conservation biology, veterinary nursing and veterinary science. There are also many other institutions such as TAFE and private colleges that offer animal related courses and certificates, some of these can even be completed in as little as 12 months. By completing some form of further study after school you are building on your knowledge base, as well as providing yourself with credibility in a highly competitive industry. When you are studying something you are passionate about and enjoy, it won’t even seem like work. It is important to have as much knowledge and education about animals as possible, however it is also vital that you develop practical skills and experience working directly with animals. These practical skills should involve the day to day care and husbandry requirements, disease prevention and control, handling techniques, breeding processes and general wellbeing of whichever species of animals you wish to work with. The best way to get this kind of experience and a ‘foot in the door’ is to volunteer. 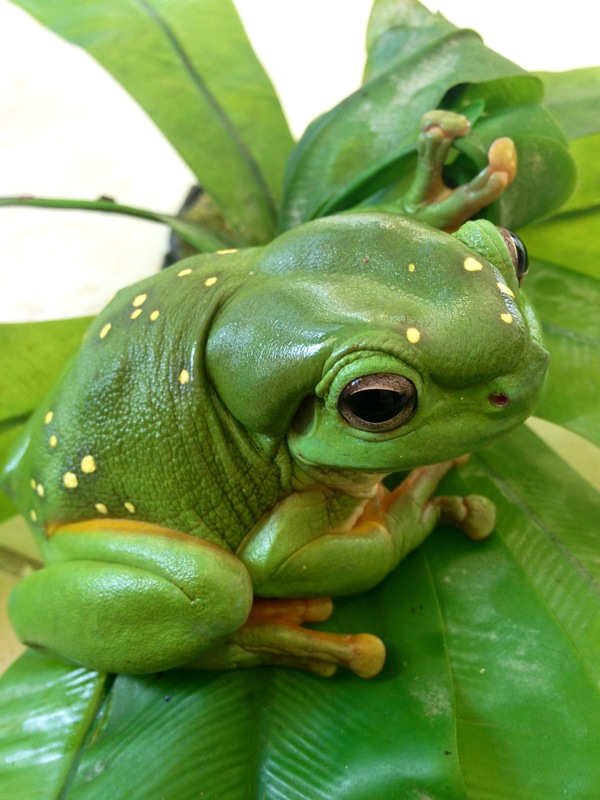 A great starting point is to join your local wildlife rescue and rehabilitation organisation and become involved in the care of native wildlife. These organisations offer a basic introductory training course for all new members and later you can go on to do more specialized courses for specific groups of wildlife. Other places that may offer volunteer programs include zoos, wildlife parks, animal rescue shelters, herpetological societies, veterinary clinics, national parks as well as many overseas volunteer opportunities working with animals. Many people who are passionate about wildlife and animals would gladly work without any pay at all, purely for the enjoyment they derive from being close to such incredible creatures. However, the reality is, that in order to survive in this world you need to make a living and if you wish to work with animals long term it is highly beneficial to seek employment in an area relevant to your ultimate goal. Whilst making hamburgers might be one way to earn an income and allow you to put petrol in the car, it is not going to directly support your overall aspirations of a career working with animals. There are many options for employment working with animals, you just need to be proactive in seeking out such opportunities. A few places to start could include; reputable pet shops with a high emphasis on animal welfare and education, animal shelters or rescue centres, mobile animal display and education businesses, vet surgeries and of course zoos and wildlife parks. Sometimes volunteering in these kinds of places and working hard and proving yourself can later lead to offers of paid employment. Above all it is important to live each and every day with passion, as this is what will provide you with the fuel to follow your ultimate goal and realise your dreams. Surround yourself with other like-minded positive people who believe in you and what you want to achieve. Nothing in life comes easily and there will be plenty of times when you feel like giving up, however, through goal setting, living with animals, studying hard at school and beyond, volunteering and working with animals you give yourself the very best chance of making things start to happen. I honestly believe that if you follow these simple tips, anything is possible. Whilst I still have a long way to go before I realise my own ultimate goal, I am already living my dream by working with wildlife from around the world and playing a role in the protection and conservation of animals and the habitats that they depend on for survival. So go on, right now, grab a piece of paper and a pen and write down your wildest, craziest dream and start making it a reality today. 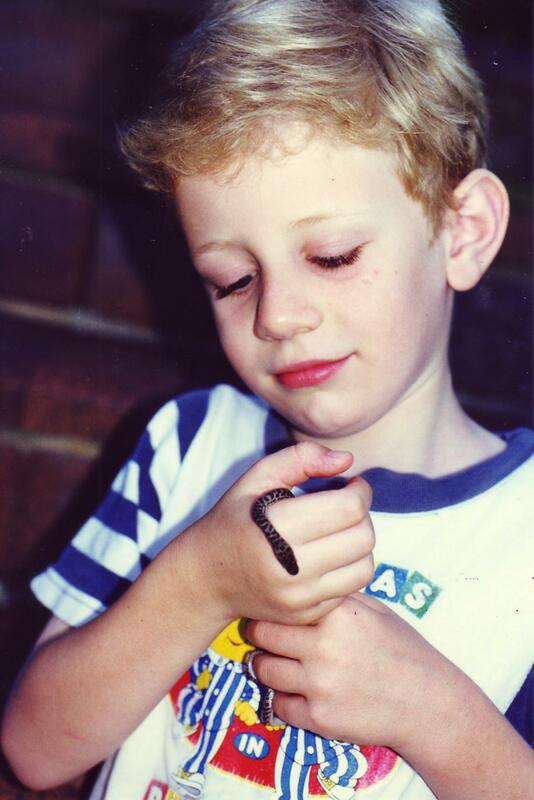 Ben at 6 years of age with his first pet snake, Rosie. 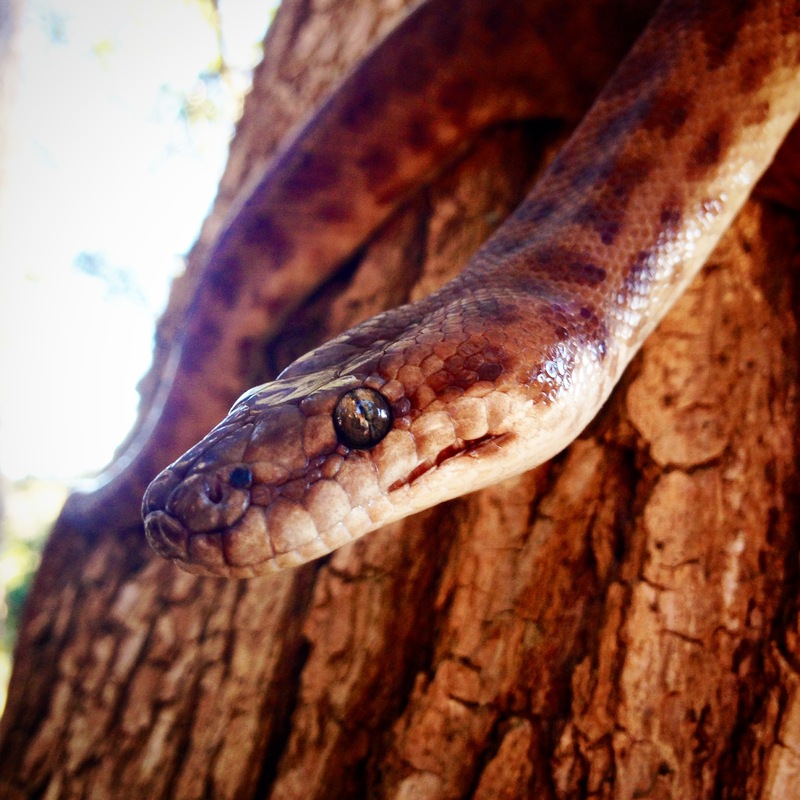 Rosie the Children’s Python, now 17 years old. 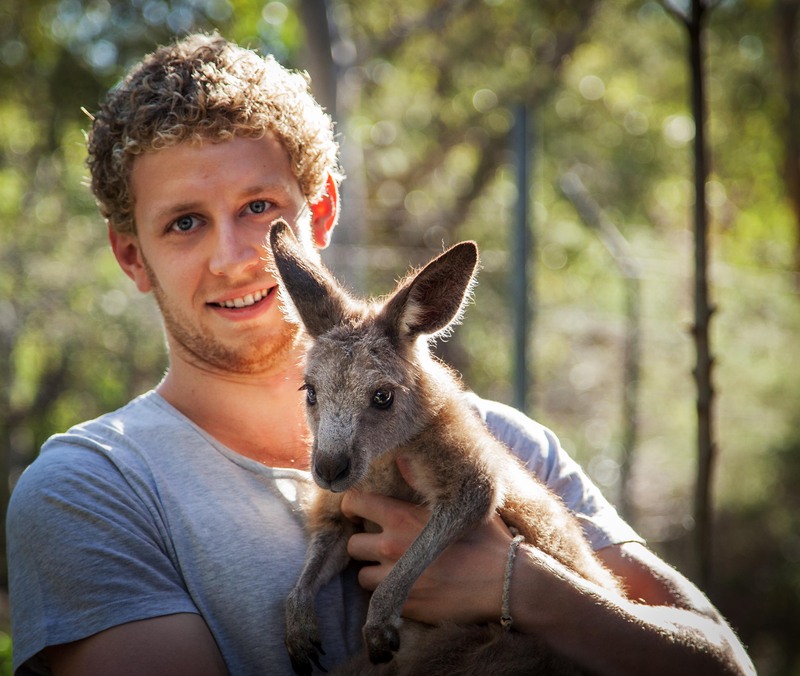 Ben with a joey at the wildlife sanctuary he manages in north west Sydney.